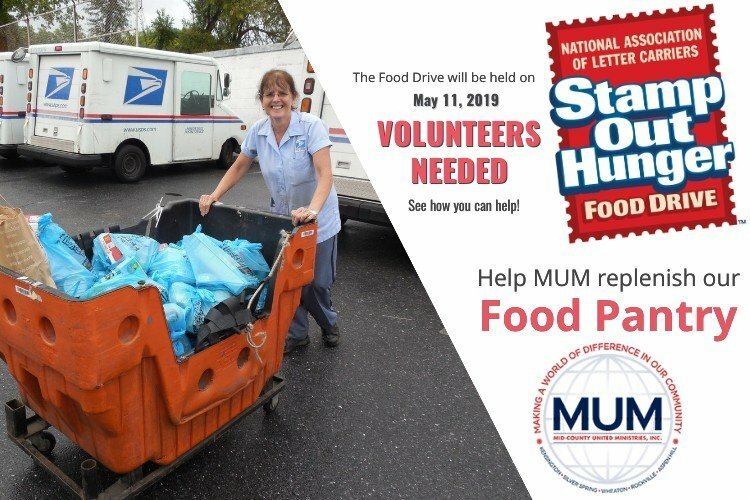 MUM will once again participate in the Stamp Out Hunger food drive sponsored by the Letter Carriers for U.S. Postal Service. The event will be held May 11, 2019 and MUM needs lots of help. Please click on the button below to view the online sign up, and thanks for your support. One day a year, homeowners in local zip codes leave nonperishable food outside their homes for letter carriers to collect during their mail delivery. The food is then delivered to the post office, where MUM board members and volunteers pick it up, sort, box and store. These donations replenish MUM’s food pantry that feeds our clients. We need volunteers! We will need help in sorting food donations on Saturday May 11 from 3:30pm to 9 at Newport Mill Middle School, 11311 Newport Mill Rd. Kensington, MD 20895 (next door to Einstein) and on Sunday May 12 from 9:00 AM TO 12 noon at the acorn storage unit. Look for the postcard and/or plastic bag left by your letter carrier in advance of collection day and leave your food outside your door on Saturday, May 11. 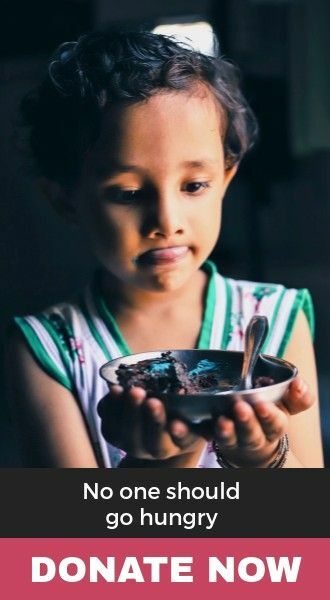 Your donation will help feed a hungry family.